Yann Kermogant silenced the Jimmy Seed Stand last night with a goal that helped Charlton record their first league win of the season against Leicester City. The home side came under early pressure from the visitors, Jamie Vardy saw his effort blocked by the Charlton defence before Danny Drinkwater, formerly of Manchester United, also had his shot on goal foiled by an unchanged Charlton rearguard. Minutes later Leicester carved their way through the Charlton defence again, but Lloyd Dyer failed to keep his composure. The fleet-footed winger spurning his chance horribly wide after an eye-catching burst of acceleration to give himself the opportunity. Charlton got their first chance of the game shortly afterwards, a clever header back across goal by Morrison presented Bradley Pritchard with a chance to shoot, but he was denied by Kapser Schmeichel. Then out of nothing, Bradley Wright-Phillips opened the scoring. The striker linked up nicely with Pritchard, who fed the ball into Wright-Phillips feet, before the forward, who sealed the Addicks promotion last season, fired a low drive into the opposite corner of the net with the Leicester keeper unable to keep it out. The hosts seemed galvanised and almost doubled their lead minutes later when Leon Cort, scorer of Charlton’s first goal back in the Championship, was foiled by Schmeichel. Then on 32 minutes the lead was extended. Again, almost out of nothing, the ball fell to Kermogant on the edge of the area before he thumped home a thunderous right-footed effort. After enduring turbulent times at the Midlands club, Kermogant raised his finger to his lips to silence his critics, much to the delight of the Valley crowd. Leicester then wasted two chances of their own before the half drew to a close. First, Beckford couldn’t profit from good work by Jamie Vardy. Before former Addick Paul Koncheskey drove the ball low and hard across goal, with Vardy unable to prod the ball home on the slide. Nigel Pearson attempted to find a way back into the game at half time. His two changes saw David Nugent and Andy King replace Matty James and Jermaine Beckford. Sure enough, the changes worked, and the visitors found themselves back in the game. Youngster Ben Marshall delivered the cross that found substitute King unmarked in the centre to convert. It became somewhat of an onslaught in the second half, as Vardy again saw his header go over after another concise and efficient Leicester counter attack. Those counter attacks were becoming alarmingly dangerous to the home side’s goal, and Schmeichel again produced a quick throw to set up the next one. He set the speedy Dyer away down the right, but he failed to find the finish that the move deserved once again. Chances began to pile up for the visitors, just as had been the case on Saturday for Charlton. Nugent, King and Knockaert all failed to convert from their respective openings, as it looked like the League One champions would hold on. Final scares were dealt with in the last few minutes, as Knockaert left half the Charlton defence on the floor before teeing up Dyer who was again stopped by the outstanding Ben Hamer. The former Reading keeper has had a tremendous start to the campaign, impressing both on Saturday and again last night. Vardy then saw yet another header saved by Hamer, before City got one last corner right at the death. The North stand held their breath as the corner came in, but thankfully it was a poor one that was easily cleared, allowing the game to finally come to a close. The final whistle was greeted with jubilation, and news soon filtered through of Crystal Palace’s 4-1 thumping at the hands of Bristol City, which left them bottom, and left Charlton fans buoyant about the clash next month. Another memorable night at the Valley came to a close, with Powell given a warm send off by the visiting fans, and an even warmer send off by the home ones as he produced his tunnel celebration that the Valley had been starved of for too long. 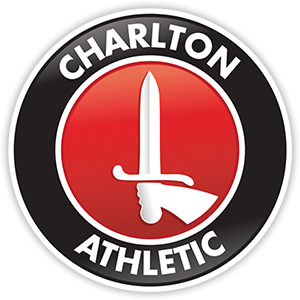 Four points from two tough games is beyond even the most optimistic Charlton fans expectations, and if a similar result can be achieved at home to Hull on Saturday, then the Addicks can be proud of a sterling start to life in the Championship.